These aftermarket Sunbeamreg; humidifier wick replacement filters fit Sunbeamreg; models SCM1746 and SCM1747. They measure approximately 6 1/2 H x 4 1/2 ID x 6 1/2 OD x 1 inch Thick. Features an antimicrobial agent! Honeycomb filtration to trap mineral pollutants found in water and help prevent them from entering your home. For optimum performance, replace filter at the beginning of each season or every 2 months depending on use. This is an aftermarket filter. Fits Sunbeam models SCM1746 and SCM1747. 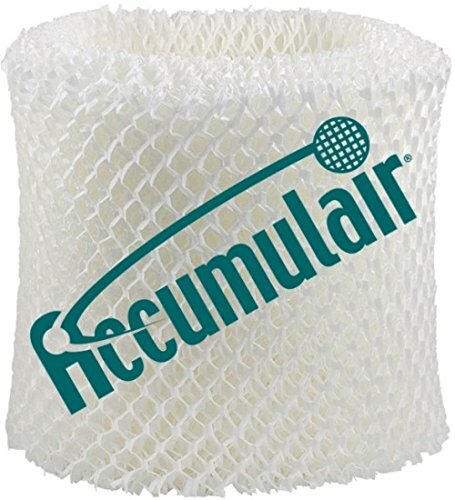 Sunbeam humidifier wick replacement filters.